We are glad to appreciate the company KH-Lift ApS as our new sales-and servicepartner for the RUTHMANN-ECOLINE series. KH-Lift ApS is going to sell our RUTHMANN truck mounted aerial platforms in the “low-buget” sector in addition to our RUTHMANN-BLUELIFT spider platforms in Denmark. Time Danmark A/S will continue the distribution of the RUTHMANN-STEIGER®. 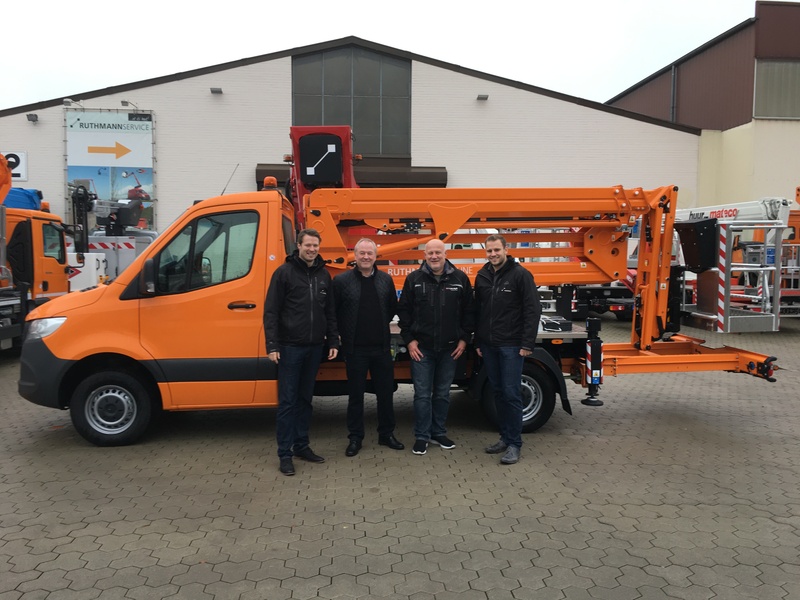 As part of a first training the owner of the KH-Lift Aps Company Karsten Haar and the service technician Henrik Damsgaard received an introduction to the RUTHMANN-ECOLINE RS 200 & RS 240 working platforms. In this course they also ordered a RUTHMANN-ECOLINE RS 240 as a storage device for a road trip in Denmark, which is scheduled for March 2019. We are looking forward to further cooperation with KH-Lift ApS and are optimistic to launch the RUTHMANN-ECOLINE series successfully in Denmark.